The Movado Classic Museum Women’s Watch Model 0605656 is pure white and lovely. This women’s watch makes an elegant and sophisticated statement and is a great choice for Valentine’s Day. The Movado Classic Museum Women’s Watch Model 0605656 is contemporary and modern, yet it retains all of the classic Movado features. The Museum dial is the centerpiece of this watch and its subtle artistry will draw you in. 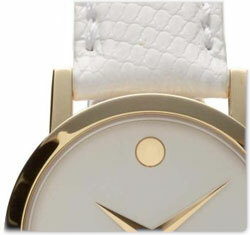 This watch from Movado features a blank white dial, adorned only with gold toned hands and a simple Movado “Dot”. 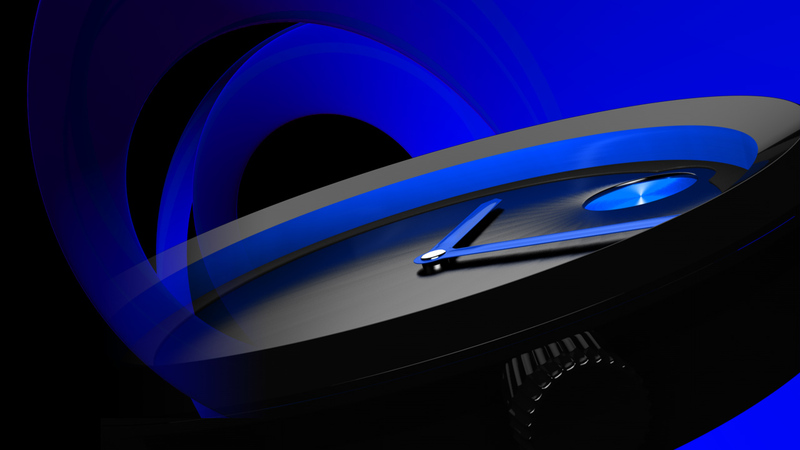 This is a Swiss Quartz model that will be extremely accurate and easy to care for. The case is crafted of 18 carat gold plated steel and measures 26mm in diameter. The Classic Museum offers a screw down case back and push in crown. The Movado Classic Museum Women’s Watch Model 0605656 is made in Switzerland and features a 12 month manufacturer’s warranty. This women’s timepiece from Movado is also water resistant to 99 feet. The quality is of the highest standard, that’s for certain, but the look is what will sell you. The Movado Classic Museum Women’s Watch Model 0605656 is finished off with a beautiful white, alligator leather strap, complete with pin and buckle closure. It makes a wonderful gift to give right now, and will be great in the summer month to come.